Seasonal Magazine: Exclusive Interview with Amit Shah, BJP President - Modi's Chanakya? Exclusive Interview with Amit Shah, BJP President - Modi's Chanakya? His unwritten brief was to MODIfy India. But Amit Shah had to go beyond his duty, and guard Modi Government’s back on challenges ranging from demonetisation to jobless growth. Always in a campaign mode due to the country’s never ending state elections, Amit Shah speaks about Modi’s 1111 days as PM. Being Amit Shah is not easy. Being BJP President might be an easy job, as many of his forerunners had proved, but being Amit Shah as BJP President has never been easy. The reason is simple – he doesn’t avoid challenges but embraces them. Adhoc crises or scheduled challenges, Shah is ready with strategy. He has been PM’s trouble-shooter ever since Modi took over the reins of the country. The latest instance has been the farmers’ struggle in Madhya Pradesh and elsewhere in the nation. While it is clear that BJP and its Madhya Pradesh CM are at a disadvantage at this sudden and massive uprising, it took the intervention of Amit Shah to restore some sort of normalcy, at least in the sentiments. In true Shah style, the BJP President was quick to ‘find’ roots of the uprising in rival political parties, especially Congress. He also didn’t forget to articulate effectively on the array of steps the Modi Government had taken for the benefit of farmers. While it remains to be seen whether Shah’s strategy would succeed in the longer term, for now it has been more than enough for BJP and its CM there to heave a sigh of relief. Winning the game for Modi has been Amit Shah’s passion for long, ever since he was entrusted by Modi to retain Gujarat for the second term. Recently, Amit Shah was in Kerala energizing the Sangh Parivar’s state cadre. While the headlines were all about how Shah had effectively warned the ruling LDF to desist from attacking RSS workers, it is an open secret that Shah’s main mission was to take BJP’s state leadership to task for a poor show till now. Shah is known to have given the ultimatum to the current leadership that it would be ‘perform or perish’ for them. In an incident that reinforced the novelty of his preparedness, a local BJP leader in Thiruvananthapuram was briefing Shah on the construction plan of the BJP headquarters there. However, a person unknown to the leader contradicted his briefings to which the leader promptly objected. Much to everyone’s bewilderment, Shah revealed that the person was a builder he had personally brought in to study the construction plan. Shah has been Modi’s non-playing captain till now. In a way, Shah rising to the job and even higher than the job, is a huge setback for the next rung of leaders in BJP, most of them enjoying plum positions in the Cabinet. Shah even while non-playing as he isn’t part of the Cabinet, has perhaps done more for the government from the outside than these insiders. In fact, Shah has also been quite the social butterfly in terms of the “friends” he has managed to make across the political spectrum. While he maintains cordial relationships with BJP’s long-standing allies like the Shiv Sena, Shiromani Akali Dal, Lok Janshakti Party, Shah has formulated a mutually beneficial partnership with many regional outfits like the Asom Gana Parishad (AGP), Bodoland People’s Front, Hill State People’s Democratic Party. His negotiation skills came to the fore when he successfully persuaded the AGP to agree to his seat-sharing arrangement after the Assam-based party initially appeared too adamant to concede much ground. With the help of former Congress bigwig Himanta Biswas Sarma, Shah delivered Assam to the hands of his boss. Although achieving far from the desired result he would have hoped for, Shah’s connections with the Bharath Dharma Jana Sena that represents the backward caste of Ezhavas and the Kerala Congress (Nationalist) was still a masterstroke. While he can claim credit for stitching many useful associations in the North East and the South, Shah also takes a no-holds-barred approach when strategizing in historically significant states for the party. 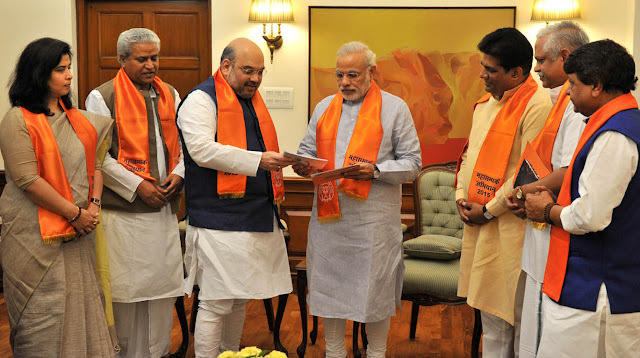 For example, during the U.P election campaign, Shah managed to convince Modi that merely giving tickets to Muslim candidates could turn counter-productive for the party’s interests and it was best that BJP play to its strengths. The outcome was there for everybody to see. Many believe that this communication line between the Prime Minister and party President has worked wonders for the nationalist party. Their stellar chemistry dates back to 2003 when Modi had put Shah, then a junior minister, on a panel to oversee a ‘Narmada Yojana’ rally with two other ministers, Ashok Bhatt and Bhupendrasinh Chudasma. Realizing that both the ministers were “too senior” to take orders from him, Shah requested Modi to excuse himself from the committee. Modi felt that Shah’s potential was too good to forego and instead had both his senior ministers dropped to give Shah a free hand. Soon after Kerala, it was the turn of Maharashtra to get a taste of Shah’s strategies. Unlike in other states, the BJP has an ally posing trouble here. But Shah who has already outsmarted Shiv Sena partially, is set to do more with his extensive interactions with various non-political citizens groups like NGOs, resident associations, ALMs etc across Mumbai, in an aptly titled forum called ‘Opinion Makers Meet’. Shah’s next challenge would be to install a new President for India, which is a tricky job given the lack of numbers. Ram Nath Kovind’s candidature comes after the astute leader quickly tried for reconciliation with Congress and other Opposition parties, and has also constituted a Cabinet panel for the selection through consensus. 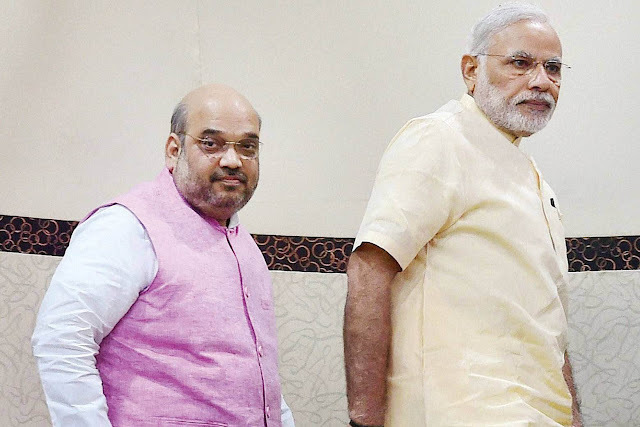 Shah might have learned the political ropes from Modi, but as of now the PM has no time left for political strategies, and it is up to Shah for guarding Modi’s back in challenges that will only increase in the coming months. Doing one’s homework is a serious affair even beyond school-life, especially when the stakes are so high. Unsurprisingly, BJP’s chances will be determined by how two of its most enterprising students fare in what is slated to be a tough test in the 2019 General Election: Prime Minister Narendra Modi & BJP President Amit Shah. If Modi is the one who gives the exam, then Amit Shah is the guide book that formulates the strategy. A voracious bookworm, Shah is known to immerse himself over district gazetteers before visiting a place to discover any useful data or talking point. Arguably, Amit Shah is the man of the moment when it comes to contemporary Indian politics and campaign strategies. That is just what the BJP expects out of the 52-year old mastermind when Gujarat and Himachal Pradesh gets set for assembly elections soon, as the party eyes for a larger share of the electoral pie. Few can match the enthusiasm and stamina levels of BJP’s campaigner-in-chief, Amit Shah, who is currently on a 95-day countrywide tour to expand BJP footprints in regions that are not its traditional strong-points. The trip is significant as the BJP rules 13 states, shares power in four and hopes to galvanize party cadre ahead of the all-important 2019 General Election when it looks to better its 2014 tally in the Lok Sabha. In Telangana, where the ruling TRS and Congress attract considerable sympathy, Shah directed his party workers to fight these parties tooth and nail at every given opportunity, dismissing concerns how it may affect the Presidential vote for BJP’s candidate. Spectacular performances in Uttar Pradesh and Uttarakhand appear to have whetted the BJP chief’s hunger for expanding the party’s footprints from “Kashmir to Kanyakumari”. He kickstarted his yathra in J&K and proceeded to Tamil Nadu, where BJP is a minor force. His much publicized visit to Kerala send a strong signal to regional parties about the BJP’s interests in the southern state. So far, Amit Shah has traversed West Bengal, Odisha, Gujarat, Telangana and Lakshadweep where his message to booth-level workers will give him an opportunity to get first-hand ground reports necessary to construct his election strategies. The BJP has grown exponentially, becoming the world’s largest political outfit with more than 11 million members, after Shah took charge in July 2014. A trusted lieutenant of Prime Minister Narendra Modi, fellow Gujarati Shah is credited with the party’s impressive wins in state polls since the 2014 parliamentary elections. In high-profile constituencies, Amit Shah will personally monitor BJP activities, underscoring the party’s long-held desire to break through Congress bastions like Amethi & Rae Bareilly. With the 2018 assembly polls just round the corner in Chhattisgarh, Karnataka, Madhya Pradesh, Meghalaya, Mizoram, Nagaland, Rajasthan and Tripura, Amit Shah seems to be a man on a mission. Will he manage to script another historic victory for his party? Only time will tell. The BJP has completed 3 years in office. Apart from major upcoming state elections and party strengthening initiatives, where do you see the party and what are its immediate goals in the near future? Our aim is to develop a determined and secure nation. We are in power in 14 states and we rule at the Centre. We are also alliance partners in 4 other states. 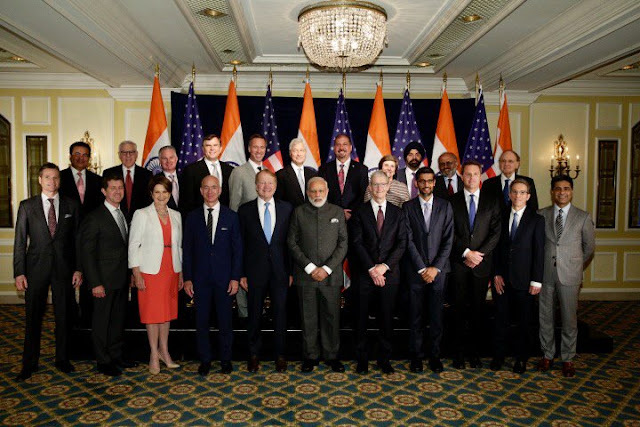 We want to project India as a shining example to the world. You recently remarked that Modi is the most popular politician since independence.. Yes, but this is in reference to politicians who were born after independence. This statement was twisted by media but I think my statement was very clear. It wasn’t a comparison with any other national icon. What do you hope to achieve from your 95-day nationwide tour? Look, I’m the President of the party. All levels of the party functioning is under my jurisdiction. It is my responsibility to expand our party activities. This year also happens to be Deendayal Upadhyaya’s 100th year birth anniversary. We would like to spread his teachings and life’s work. Our collective effort would be towards organizational expansion and to meet the expectations of the country on every front. That’s the aim of this tour. You’ve been quite a force to reckon with when it comes to election strategizing and campaigning. What is Amit Shah’s secret mantra ? There can’t be a one-size-fits-all solution. Every election can’t have the same strategy. Requirements vary with changing ground realities. But what we have managed to show the country through our rule at the Centre and state levels that the developmental agenda is the only way forward. The people have come to realize this gradually. Caste-based politics, family politics and appeasement politics have been shunned by our party leaders. Also, I believe that experience gained from such campaigns always gives one a sense of purpose. Through my travels to different parts of the country, I’ve been blessed to learn from the common man. Why do you think the Opposition has been struggling to mount a challenge to BJP given the current political climate? See, I think what matters more is that we’ve been doing the right things more so than the Opposition failing in their tasks. That is what I feel about the whole situation. The Bihar election debacle may have upset your plans given the massive importance of the state..
We admit that there was a lot that could’ve been done to ensure a favourable result for us. But, we accept the loss and the mandate of the people. The simple task would be to further strengthen the organization right from the grassroot level. We want to continue the revolution and ensure that government schemes reach every deserving person. With the Gujarat elections just round the corner, how do you think the recent caste-based movements by Patidars, Dalits etc will impact BJP’s fortunes? I have heard this for the past many years but just ask yourself who continues to form governments in Gujarat in every assembly election. We are confident that the people of Gujarat will once again place their trust in us. In which areas do you think that BJP could have fared better given your experience as its President so far? You want me to do the job of the Opposition by pointing out our weakpoints? (laughs). Before that, let me tell you some of the initiatives of this government. We have ensured that crores of people have their own bank accounts, 2 crore women now receive gas cylinders, 4.5 crore homes now receive electricity, we have provided loan schemes under the Atal Bihari Vajpayee loan yojana. We have ensured that GST is now a reality. We have also actualized the recommendations of the Kalelkar Commission towards securing the interests of the backward caste and classes. 104 satellites were launched in a single flight. Surgical strike were carried out to destroy terrorist hubs. We have made the world sit up and take notice of our strong political will to act when needed. We have also brought in several agricultural reforms and improved the rate of growth from -2% to a healthy 4%. We have made all efforts to improve the lives of the specially abled community. We also successfully passed the Maternity Benefit Act. In this way, we have made all efforts to introduce new schemes and ideas in every field. The Opposition alleges that the Sangh Parivar’s ideology is influencing decision-making which in turn has made it difficult to voice any other point of view. What is your take on this? No, it’s totally false. We are open to everybody’s opinions. I am here, listening to some of the good points you yourself are raising right now. And isn’t it imperative to open one’s ears to good ideas? Also, are we supposed to expect the Opposition to praise us? They are bound to criticize us and they will continue to do so. Following the JNU debacle & surgical strike, the government and party have been playing up the nationalist card aggressively. And the Opposition and some civil society groups allege that those who hold an opposing view are termed as ‘anti-nationals’. What are your views on this? Well, this is a part of our proud history. Even at the time of independence, the overwhelming emotion was that of nationalism. And, the allegation isn’t true. However, if somebody wants to speak about the breakup of this country, then there is no doubt in our minds that he/she is an anti-national. People can criticize the Prime Minister, the party but why talk about secession? What is the government’s strategy to fend off Naxalist threat? How long do you think this would take? We have made all efforts to reduce Naxalite violence in the last 3 years. And I believe we have managed to bring it under control. We won’t deny that there have been incidents every now and then. It is only natural that when such operations take place, there will be strong resistance from the perpetrators. We are strongly of the view that Naxalism can be rooted out in the near future. There will be heightened efforts to build infrastructure in violence-prone areas and there will be zero tolerance for Naxalite elements who want to impede progress. There are parallels being drawn between the situation in Kashmir and Palestine. What are your views? I don’t think that’s true. You see, since 1989, there’s always been 6-7 months when violence is at its peak in the Valley. This is not a new feature. The security forces have adopted a strong approach to separatist tendencies in the region, which is why we see retaliation. Therefore, if you take a look at the last 20-25 years, it is wrong to highlight only the last 6-7 months. You need to consider the larger picture when talking about the Valley. The recent political killings of RSS & Left party workers in Kerala & West Bengal have increased at an alarming rate. Don’t you think there is an urgent need for the stakeholders to iron out differences before situation worsens? Please help me understand which party rules or has been ruling in these states for the past decades. Is it us? Our moral principles don’t permit violence. It is the duty of the respective state governments to ensure that law and order prevails. Take Kerala for example. Even when the UDF was ruling, there was no end to these rampant killings. But with CPIM coming to power, the situation has been exacerbated. Even with killings in his own district, the CM has no answers. Now please ask yourself if this is the response expected when situations like this happen right under your nose? Also, the Left parties have to answer as to why only these killings become severe whenever they are in power. It is solely the responsibility of the Left parties to find solutions and nobody else’. Your party did exceedingly well in the recent U.P elections with Yogi Adithyanath being chosen as the CM. What is your take on his first few months as CM? We are 100% satisfied with Yogiji’s performance. He has sprung into action in a short span of time and even provided solutions to some pressing issues. I think he’s moving in the right direction along the path of governance and development which have been a feature of all BJP ruled states. There seems to be a feeling that law & order measures have been too controversial with the anti-romeo squads, Hindu Yuva Vahini taking law into their own hands etc..
No, the Hindu Yuva Vahini has nothing to do with policing issues. As far as the Hindu Yuva Vahini is concerned, it is not a law and order problem. It is in fact a policy to improve and find solutions to law and order problems created under the watch of the previous dispensation. The new cattle slaughter laws have created quite a stir in the South and North East parts of the country. And many people are wondering if this is an attack on their traditional eating habits.. If you take a look at the notification, which clause says that there will be restrictions on eating habits? Also, this was a Supreme Court judgement earlier in the year. Based on the SC ruling, the government constituted a committee to form certain rules. Therefore, there has been no attempt at infringing on anybody’s eating habits whatsoever. How has yours and Prime Minister’s “outsider” approach helped in redefining governance in Delhi? The Prime Minister is working towards improving governance all over the country, not just in Delhi. Also, I don’t think it’s true that just because we rule sitting in Delhi, we become interested only in the affairs of the Central government. Of course, leaders come from different states but the intention is to work towards the development of the country as a whole. What are your plans to expand BJP’s presence in hitherto untested areas? Our various state and district level organizations are working round the clock. We have plans to build schools and libraries in every district. We are also providing training programmes to around 9.5 lakh karyakartas. There are also efforts to document party activities from the past and also to write its history. We will also take all efforts to document the life and times of our great leader Shri Deendayal Upadhyaya. We have already successfully launched the Deen Dayal Upadhyaya Gram Jyoti Yojana to benefit rural areas. What can the people expect from the government in the next 2 years? I have already highlighted some of our main initiatives. Apart from that, we intend to better our performance in Kerala drastically. In fact, we will look to secure the largest number of Lok Sabha seats from Kerala in 2019. This will be one of our biggest goals. Could you share with us your favourite past time, some recent books you’ve read, most recent movie you’ve watched, your role model etc? I have too much on my plate to be having any past time (laughs). Otherwise, I do maintain a library at home and I read books ranging from topics like religion to politics. Coming to movies, I recently watched Bahubali. I have a large portrait of Chanakya at home and one of my favourite role models is without doubt Veer Savarkar.